On his way to his girlfriend's house, a car ran the red light and plowed right into Darren's door, injuring him badly. He and his girlfriend's date was immediately cancelled. 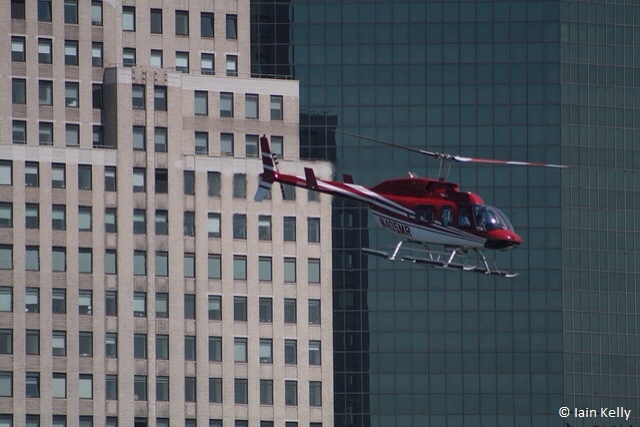 Life flight air lifted him to the emergency room to the closest hospital, LifeCare. Darren was immediately sent into surgery to repair his broken limbs and to stop the massive internal bleeding. Darren was fortunate to live through this bad wreck. It easily could have been so much worse. Three months later, Darren and Colesta went to a nice dinner and an exciting movie, happily finishing their fateful date. Thank you Iain Kelly for our photo prompt this week! 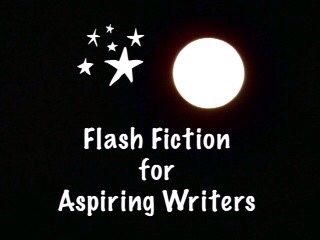 This is my 100 word submission for the flash fiction challenge, Flash Fiction for Aspiring Writers. We are given a photo prompt and approximately 75-175 words with which we create our stories. It is fun and everyone is invited to participate. For more information, click HERE. I’m so glad they got a happy ending together – and that Colesta waited for him to get better. Nice take and well written. Nice one. Thankfully, it all ended well. That’s nice that everything turned out OK. Great story. Thank you Yinglan! It’s really difficult for me to write stories with tragic endings. LOL! Great story PJ. Action packed. You don’t expect Darren to get so injured and thank goodness he lives through his injuries. Happy they got a ‘redo’ on their date night. Although I’m sure, Darren was still not quite up to his old self. Hope the end of your summer went well? Did you get to go and visit your kids/grand kids like you’d planned? Yes, it is great they got a redo on their date and I’m sure he wasn’t back to his old self yet but at least he was alive! LOL! I am visiting my kids and grandkids in September. Thank you so much for reading and for your sweet comment! Glad that they lived to complete that date. Thank you Joan! Me too! Yes, that is a hell of a way for a first date to go! End up in the hospital for 3 months! LOL! Hahaha! I know what you mean! Me too! Yes, it is. But I stopped thinking about it. It’s too depressing. LOL! Have you had your head checked lately? Hahahaha! It’s still there. It has always had a psycho magnet inside. I guess if I was smart enough to remember that when I met new people…. Especially people that you might marry — like your wife! Haha! That’s great that she is the success story! I’m glad to hear the guns are in the attic. LOL! I put them there. The ammo is separate. It gives me about a minute extra to get away. Hahahaha! You better run like a speed demon! Well, you may be okay then if you get pulled over the cops will know you as the husband to one of their fellow cops! I have the little cards for local, state and national! But the car has the Star on the plate, so I don’t know if it works all the time. So they can look at your plates and know that you are married to a cop? Ohio has special plates for Fraternal Order of Police. Which means a cop owns the vehicle. Oh, that’s pretty cool! You can probably get away with speeding a little! That’s one of the perks of being a cop or being married to one! Yes, the world needs someone to watch them. I really hate how cops are being hated so much and killed, these days. Yes, I agree. It becomes a vicious cycle. All’s well that ends well but what a ride! LOL! Thanks Graham! Yes, that was quite a ride! Ended up in the hospital for almost 3 months! I really enjoyed it except that I thought, “There goes Rosey being morbid again.” LOL!! It was a GREAT story! HAHA! I know. I’m guilty! HAHA Thank you dear PJ!! I don’t like the suffering…..but I love the happy ending! It’s very much like much of what we go through in life isn’t it? Not always easy, but so often so joyful in the end. Well done Priceless! Yes, that’s true Colleen! Much like what we go through in life. Thank you so much! There’s nothing like a happy ending. This whole experience has the potential to be something to tell their future kids and grandkids. Great job, PJ! Thank you Izzy! It is something they can tell their kids and grandkids! So happy this ended well. What a horrible thing to happen to someone. I love happy endings! How fortunate he was. EMT at it’s greatest. LOL! Thank you Deb! I try mostly to write happy endings. Every once in awhile I write an ending that isn’t happy but I don’t like to. Haha!